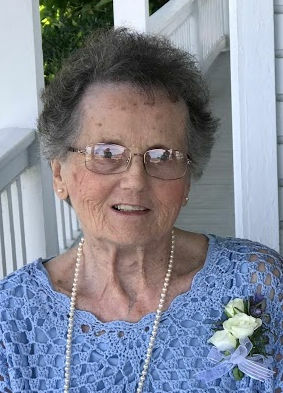 Noreen Elaine Werley Stein, 87, of Meadville died Thursday, August 23, 2018 surrounded by her children at Wesbury United Methodist Community. She was born January 9, 1931 in Meadville a daughter of Henry Edward and Mnetha Lenhart Werley. She married James D. Smith and subsequently married Robert E. Stein May 28, 1980 and he preceded her in death July 30, 2007. She was a 1948 graduate of Meadville High School and attended Allegheny College. She retired June 30, 1994 as Deputy Clerk of Courts of Crawford County after 28 years of service. She had previously worked as Chief Clerk for the Agricultural Stabilization and Conservation Service, at Talon Inc. and for the local Firestone Store and the Crawford Store. She was a long time member of the First Presbyterian Church, a member of the Eat and Travel Club, the Huidekoper VFW Post #2006 Ladies Auxiliary and R.S.V.P since 1994. She enjoyed watching TV, reading, doing crossword puzzles, going out for dinner and spending time with her children and grandchildren. She is survived by her twin children, Daniel E. Smith and his wife Shelly of Meadville and Kathleen E. Hootman and her husband Dan of Linesville; five grandchildren, Justin Woodburn and his wife Rachael of New Smyrna Beach, FL, Ellen DeWeese of Linesville and Joshua, Abigail and Faith Smith of Meadville; a sister, Marilyn W. Shannon and her husband Robert of Whispering Pines, NC; a brother, Edward E. Werley and his wife Carolyn of Pittsburgh; four nephews, John Werley and his wife Bertie and their children, Tim and Katie; Scott Werley and his wife Karen and their daughter, Alexandra Rodriguez and her husband Nathan; Michael Werley and his wife Lynn and their children, Benjamin, Beth and Samuel and David Werley and his wife Jonette and their children, Matthew and Emma. In addition to her husband and parents, she was preceded in death by a great niece, Sarah Beth Werley and her two special four-legged companions, Rascal and Robie. Calling hours will be Friday, August 31st from 3-7 p.m. at the ROBERT W. WAID FUNERAL HOME, INC., 581 Chestnut Street, Meadville. The funeral service will be Saturday, September 1st at 11 a.m. at First Presbyterian Church, 890 Liberty Street, Meadville with Rev. Dr. Brian K. Jensen, Pastor, officiating. Interment will be in Greendale Cemetery. The family suggests memorials be made to the First Presbyterian Church, 890 Liberty Street, the Meadville Public Library, 848 N. Main Street or the Crawford County Humane Society, 11012 Kennedy Hill Road all of Meadville, PA 16335.